Programs in this area enable youth to develop their creativity and cultural awareness through knowledge and appreciation of the visual arts, crafts, performing arts and creative writing. Club Tech Digital Arts Suite and Festivals comprise our Club Tech’s self-directed Digital Arts Suite courseware consists of Web Tech (web page design), Design Tech (graphic design), Photo Tech (photo illustration) and Music Tech. CIay Tech is a fun, hands-on introduction to animation for members, especially those ages 13 to 18, that promotes the importance of teamwork and provides an education, engaging and fun experience. 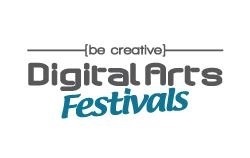 Once Club members have participated in these programs, they can submit their digital artwork to the annual Club Tech Digital Arts Festivals competitions. The festivals celebrate Club members’ creativity in five areas – web design, graphic design, photo illustration, music composition and movie making – and provide Club members with recognition at the local, regional and national levels. TNT DramaMatters Afterschool, a drama education program for Clubs, was developed in collaboration with Turner Network Television. TNT DramaMatters Afterschool is a flexible resource for Clubs designed to raise awareness about the benefits of drama education. Lessons in Stagecraft, teaches advanced participants in drama about set design, set building, stage lighting, costumes, stage makeup and directing. It offers Club member’s different ways for them to express themselves creatively in hopes that they will discover a behind the scenes role in a production. ImageMakers National Photography Program Resource Guide is full of fun and creative activity ideas. This year round program encourages artistic expression among Club members ages 6-18 through drawing, painting, printmaking, collage, mixed media, and sculpture while providing opportunities for members to create artwork for display in a local exhibit using the interactive National Fine Arts Program Guide. MusicMakers, a music education program resource for Clubs, was developed in collaboration with BGCA, along with NAMM, The International Music Products Association. This program resource, is designed as a flexible program resource for Clubs that includes a helpful guide, standalone teen component, and four display posters help get the word out and generate excitement among Club members.